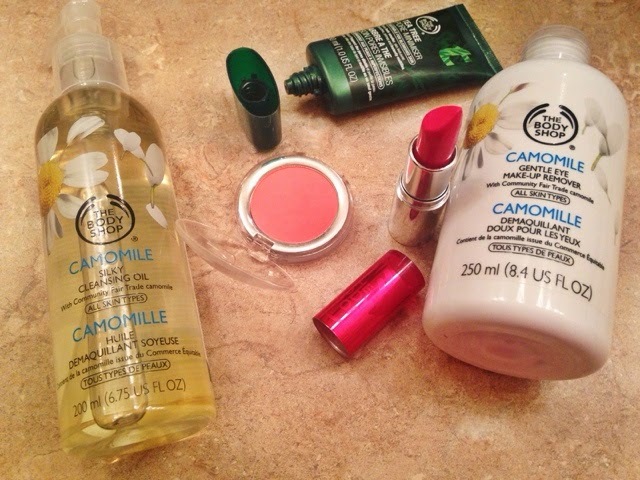 Recently I poked my head into the Body Shop because I have wanted to pick up a highly rated lipstick and blush. 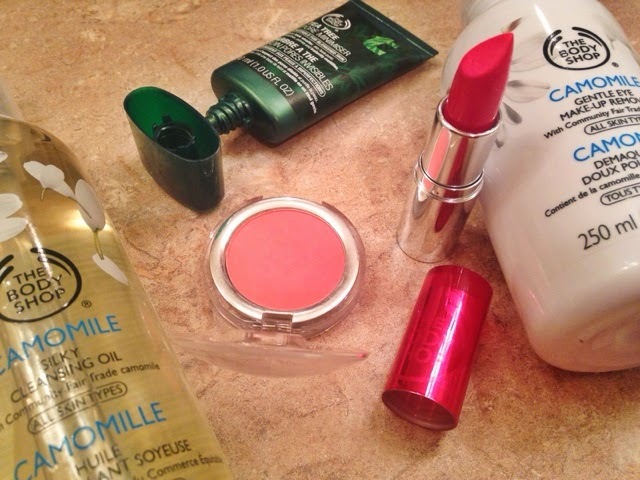 Low and behold there was a sale: with the purchase of three skincare or makeup products, you get two free. Helloooo…haul. I can’t leave with two free items; that would be ridiculous. Might as well throw another item to qualify for two free right? This ladies and gentlemen, this is how they get you. Camomile Silky Cleansing Oil: I wrote a post on this product a few months ago because it really takes all makeup off the face very efficiently and gently. The one thing I have to note is that if this is the first step for removal of my mascara and I get any of the oil in the eye area, my vision tends to be hazy for a couple of minutes. I know these products (although they won’t burn your eyes if they’re claimed to be “safe” for the eye area) are never advised to be put in your eye. Obviously you’re not going to pour cleansing oil in your eye, but if it does end up getting under your lid as you gently rub the mascara off, you may get this hazy effect. Keep that in mind when using this product. All-in-One Cheek Colour in the shade 01: This blush is something I’ve heard quite a few people rave about so I decided to give it a go. All you need is a light hand as it’s very pigmented and applies well. It lasts a really long time (even longer than my foundation or eyeshadow) so it’s quite impressive! Camomile Gentle Eye Makeup Remover: This product is very gentle and doesn’t burn the eyes or make them hazy after use. The one caveat I do have is that you need to rub your eye quite hard to get the mascara to come off and I never recommend rubbing or tugging the eye area. The area under your eyes has the thinnest layer of skin in comparison to the rest of the face; this is the main reason you see aging in this part of the face before most of the other areas. Therefore, if you’re wearing intense makeup (primer, eyeshadow, eyeliner, top coats, and mascara) I don’t recommend using this as your eye makeup remover because you’ll be at it all day. 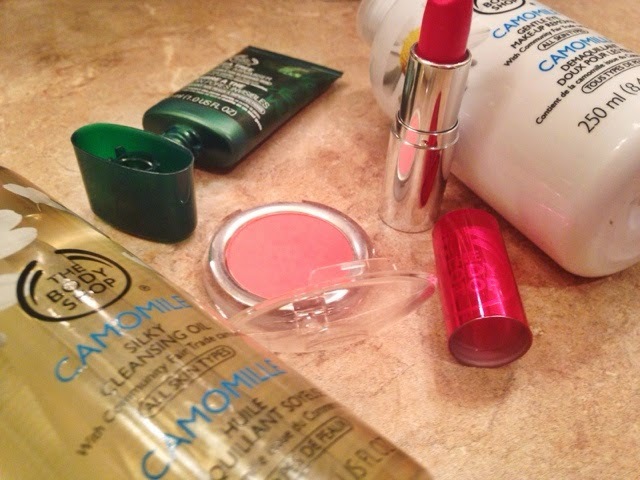 I use this on days I wear light eyeshadow and light mascara. The Body Shop Lipstick in the shade 205 “Passionate Pink”: MY OH MY what a beautiful and incredible lipstick. It smells good, and lasts ALL freakin’ day. All day people! That’s more than you can get from the high end lipsticks and more than you get from lipsticks that claim to be long-lasting. It’s a beautiful bright pink that flattering and perfect for the spring and summer months. I’m going to try to wear this through the fall as well because I’m just so in love with it. Tea Tree Pore Minimiser: I’ve been a Pore-fessional user for a few months now and I love the scent of it. I never feel like it does much for my skin because my foundation still wears off after a few hours, it doesn’t keep my face from getting shiny/oily, and I don’t necessarily have pores I’m hoping to hide (at least not yet.) 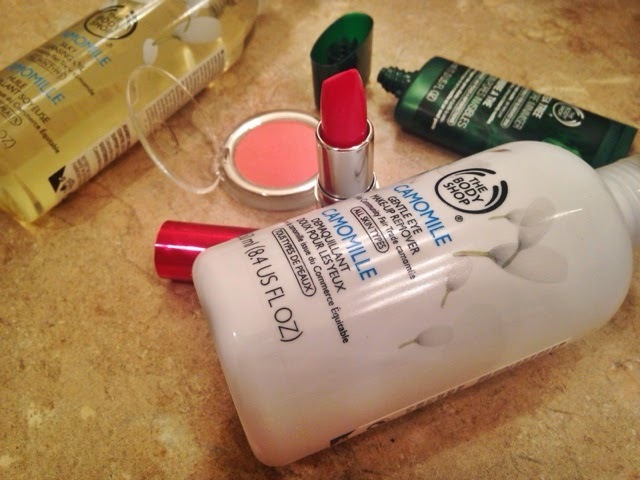 Therefore I decided to take a chance with Body Shop’s Pore Minimiser to see if it was any good. To be quite honest, I haven’t noticed significant changes but my face seems to get oilier than it did with Pore-fessional and I cannot stand the scent of tea tree so close to my nose. I didn’t realize how much I didn’t like the scent until it was literally on my nose. I don’t think I’ll be repurchasing but I wanted to try it to see if I would like it. Who knows? Maybe within the next few months my skin will adapt and it’ll become my favorite skincare product. 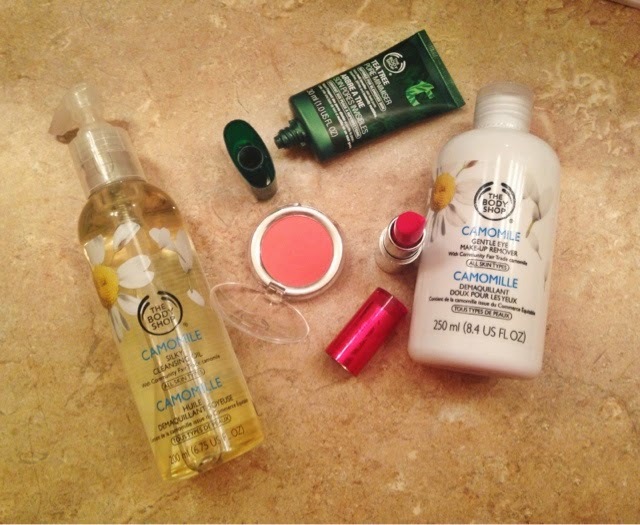 What’s your favorite Body Shop item?